Navigating festival hype is a tricky business. Folks see a movie in the film festival bubble, with film festival goggles, and before you know it, there’s a swirling eddy of buzz and hyperbole calling a particular offering one of the greats. That happens all the time, especially at Sundance, which may or may not still be happening, I don’t know. All too often, the hype either subsides, we never hear from the film again, or when it does hit, it’s straight dookie. I can’t count how many times that’s happened. 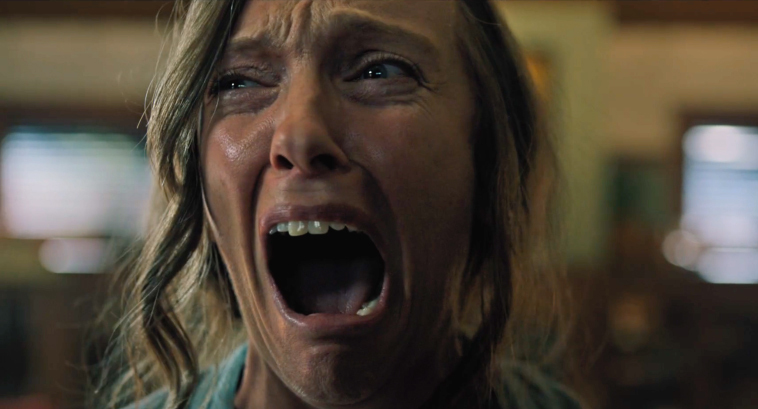 This year, one of the next best biggest greatest was Ari Aster’s horror mystery Hereditary, and while I’m wary or the hype monster, hot damn this first trailer. This is fire, both literally and figuratively. A24 snapped up Hereditary, and not only do they have a nose for things I like (The Florida Project, Lady Bird, Good Time, the hit list goes on, and that was just last year), they know how to cut one hell of a trailer. In two minutes, they deliver a tense, unnerving, disturbing, weird, compelling snippet that has me practically frothing at the mouth. Whatever they pay the people responsible for this video, it’s not nearly enough. Everything about this trailer is strange and unsettling; the visual set ups, those miniatures, that music, the cast. We’ve got mystery, we’ve got supernatural elements, maybe some dark forces, who knows. Whatever it is, I’m down to take this particular ride. If even a fraction of this translates to the actual film, we're in for something special. Written and directed by Ari Aster, making his feature debut on both fronts, Hereditary stars Toni Collette, Gabriel Byrne, Alex Wolff, Milly Shapiro, and Ann Dowd. When a movie garners comparisons to The Exorcist, The Witch, and Kill List, you better believe I’m paying attention. We still have a while to wait, as Hereditary doesn’t open until June 8, but it looks like I have a new addition to my must-watch list for 2018.